The 2010 Jameson Empire Awards were held on Sunday, March 28 in London's Grosvenor House Hotel. They are voted for entirely by the British filmgoing public. Empire is Britain's best-selling film magazine, and their awards were previously sponsored by Sony Ericsson, but are now sponsored by Jameson Irish Whiskey. The big winner on the night was Avatar, winning Best film, Best director (James Cameron) and Best actress (Zoe Saldana). The award for Best British film went to Harry Brown, starring Michael Caine. Harry Brown had its world premiere at the Toronto International Film Festival in September 2009, but receives its general North American release in the coming months. 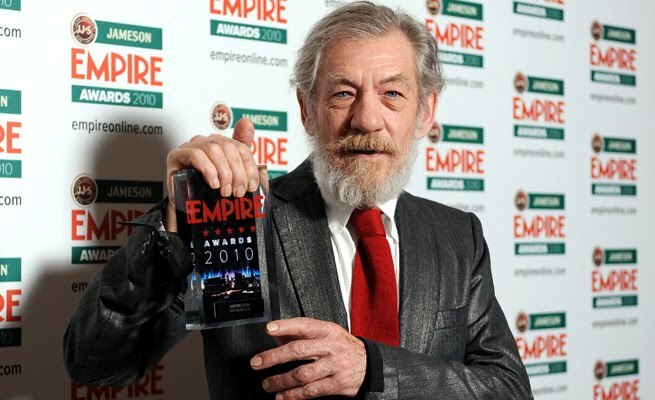 Jude Law won the Empire Hero award, whereas lifetime achievement prizes went to Ray Winstone (Outstanding Contribution To British Film) and Sir Ian McKellen (Empire Icon). McKellen said, "It means people have enjoyed the films I've made, or some of them - I suspect particularly Lord Of The Rings and the X-Men movies, in which I play iconic characters."